When people who knows I’m a marketer ask me where do I work, my answer is: “At a software development company” - and it’s interesting to see their expression. Sometimes people relate marketing to consumer goods or advertising agencies, but nowadays I consider myself lucky to be doing what I love and getting to learn something new everyday. The traditional marketing era is moving into the digital and experience marketing and I’m glad I get to be in this challenging industry. When I first started working at Inflection Point it was a challenge to be speaking about branding, social media, advertising, marketing strategy, target market, value proposition and many more concepts to a group or engineers. You have to be very specific about what you’re trying to say and set examples for each thing. I can proudly say that we are on the same channel now! There are some areas of my job that require me to work with an amazing group of engineers – don’t worry I won’t say any names – between front-end developers, back-end developers and QAs. 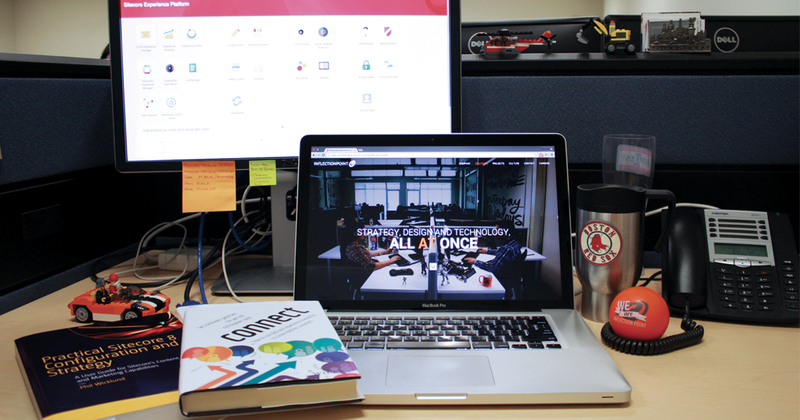 We work together in order to design and develop the company’s website using a Content Management System called Sitecore (Yes, I had to learn what a CMS was after I joined Inflection Point). But not everything has been as smooth as it seems; it’s been a challenge for me as a marketer trying to learn technical concepts and kind of look like I know what I’m talking about when it comes to web and app development to engineers. I know it’s not easy for them to understand the needs that the Marketing department has regarding the website, but I guess it should be a win-win situation. Web performance and look&feel can high-five! After some Sitecore training and knowing what CMS can do for me, it’s been easier to communicate with the team in order to state clear requirements. I’m a believer (not a belieber, thanks!) of brainstorming sessions and we have got some pretty good ideas from them. In those sessions the development team kind of fear my question (with an innocent and doubtful tone): “How complex would it be to implement this “crazy idea” on the website?” But in the end we get to do amazing things together! It’s all for now but don’t miss my adventures on this systems engineering world! Born and raised in Guaymas, Sonora; Irasema has 8 years of experience in the marketing field – digital marketing, user experience, branding, content creation, social media. 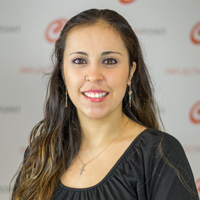 She has a master’s degree in Innovation and International Marketing and has been Inflection Point’s marketing coordinator since 2012.